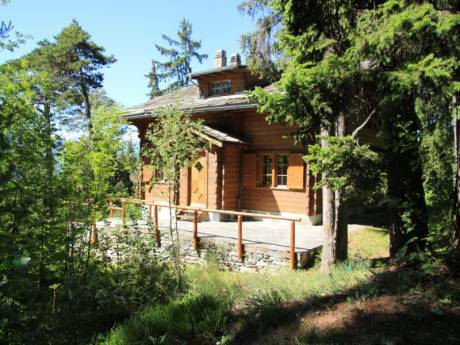 Our chalet is ideal for a family with children. It can accommodate comfortably 5-6 people in the 2 bedrooms on the second floor. Each room has two single beds and one large loft bed. The sitting room on the first flour is cozy with two couches, bookshelves, games? On the ground floor, there is the dining room which can easily sit around the table 8 to 10 people. A small bathroom with bath, shower, sink and toilet. Kitchen. Separate toilet. Two wood stoves for the heating. Small village garden with garden furniture. 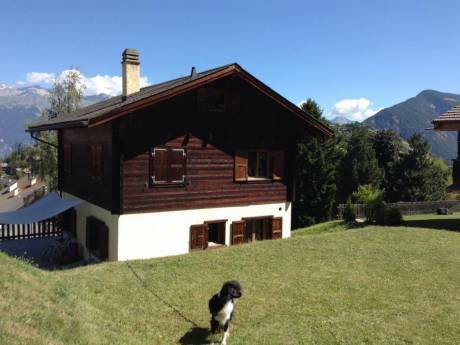 Our chalet is in the old part of the village of Vercorin in the Val d'Anniviez. Vercorin is at an elevation of 1'350 meters. Though a village, Vercorin has good public transport which takes you from the Rhone valley to the village by cable-car in 7 minutes. Geneva airport is 180 kilometers from Vercorin and Zermatt, 80 kilometers. The Val d'Anniviez is one of the most quiet and least developed valleys in Valais. We are a family of five. Denise and Ignacio and 3 children: Alicia (16), Gaël (14) and Line (12). Denise is a self-employed community mid-wife and yoga teacher. Ignacio is program director of a large intrenational child relief organization. We are a fairly international family but are now settled in Switzerland after living in different parts of Europe, Latin America and Africa. Our principal residence is in Lausanne (Olympic city and 60km from Geneva). Our apartment is a 2' walk from a beach on the astonishing Leman Lake. 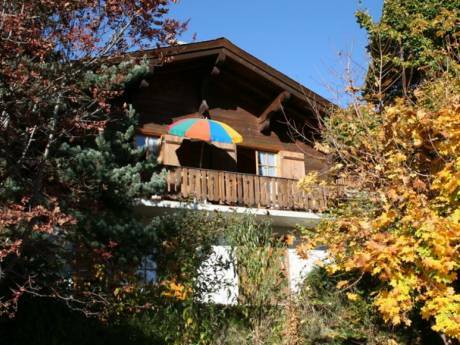 We are the proud owners of the chalet in Vercorin since 2006. All year round, we spend as much time as possible in the chalet but we can make it available almost at any time for an exchange. We all enjoy sports and outdoor activities - especially water sports, hiking and skiing. Alicia, Gaël and Line are also very involved in theater and cinema. We do not need luxury accommodation and are quite easy to please. We are a well travelled family and believe it is a real privilege to be invited into people's homes and therefore are extremely respectful. We would put a lot of effort into making sure that our guests were comfortable and ready to explore all that the area has to offer.